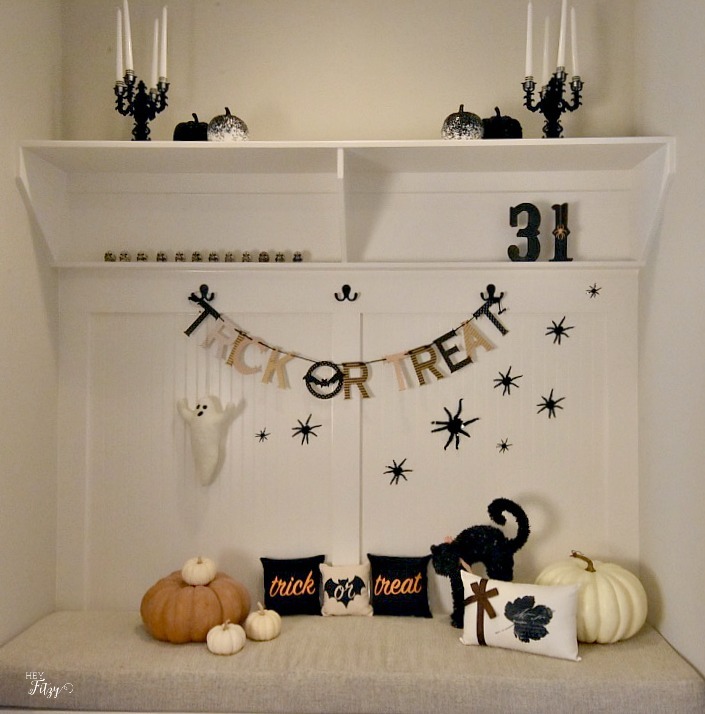 A halloween mud room! I am partnering with several bloggers to share our favorite halloween space or vignette. When debating on a space for this project, it didn’t take me long to imagine how fun it would be to tackle my mudroom space. This is the first place I see when entering my home everyday and the one place outside the kitchen that gets the most traffic. I love the idea of creating a fun and welcoming space that helps get my kiddos excited about the upcoming halloween holiday. When we built our home earlier this year, the builder created this fun mud room bench with hooks. Considering it is such a high traffic space, the bench is the perfect drop zone when family and friends are coming in and out of the house. Last month my mother-in-law came for a visit. She is super talented when it comes to anything fabric related. It didn’t take her long to whip up this amazing bench cushion for our mud room space. I love the way it finishes the bench and creates a cozier space. Plus…with all the traffic in this area, it helps to protect the wooden bench seat. It was fun adding the silly spiders crawling up the wall. Pumpkins from the local market were put in place. This black cat has been around our house for years. For some reason the kiddos love it. Each one of our kids have played with it over the years so it tends to get moved around a lot during the halloween season. If you want some more halloween inspiration, here is my halloween table. 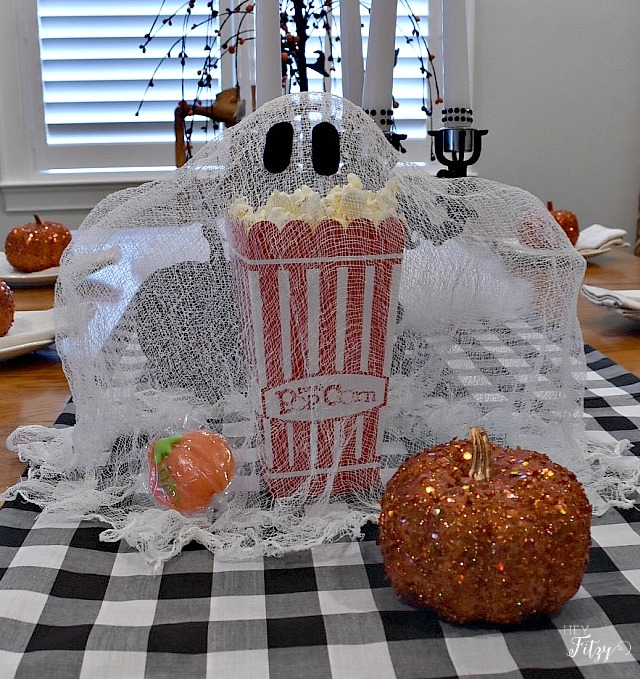 I love making these easy cheese cloth ghosts as part of my halloween decor. 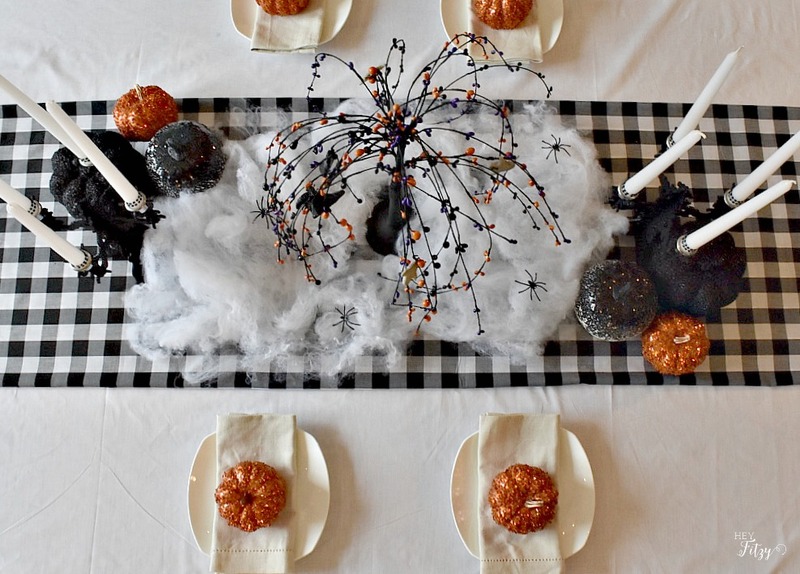 Now go check out all my blogger friends as we share our favorite halloween space or vignette. Thank you Amanda! I love this little high traffic space in our home. So fun to decorate for the holidays! This looks great, Tammy! I'll bet the kids love it too! Thank you Carol! It really is a fun little space! I like the idea of having the mud room decorated, it´s a high traffic area especially for the kids! Yours looks like so much fun, I especially like the little pillows!! Hi Katrin! I truly love our little mudroom. It is such a high functioning space for our home. Adding a little halloween decor there was fun! Your Halloween decorations would be so fun to see the second you enter the house. Very cheerful and cute. The mudroom bench is gorgeous I love it. Mother in laws who sew are a blessing for sure. Happy Halloween. Hi Leanna, I am very fortunate to have a mother-in-law that sews. She has blessed me with her talented gifts so many times over the years. Pillows, window treatments, bench covers, blankets, and sweet dresses for my girls! I am thankful! Tammy, you did such a beautiful job decorating your mudroom! Love your trick or treat pillows! So cute! Hi Sam! 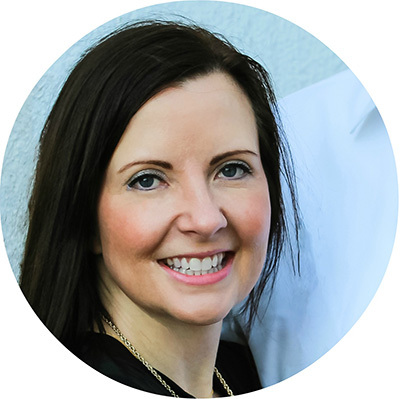 Thank you for getting us all organized for this fun halloween blog hop. I love seeing everyone's halloween space! I love the simplicity of it all! A perfect way to celebrate Halloween! Thank you Norma! Decorating for Halloween certainly adds to my kids excitement. Tammy, I love your mudroom! That bench is spectacular and especially love the beadboard! Your Halloween decor is spot on and so fun! I love that the cat moves around and that all your kiddos have played with during their childhoods! Great post! Thank you Janine! 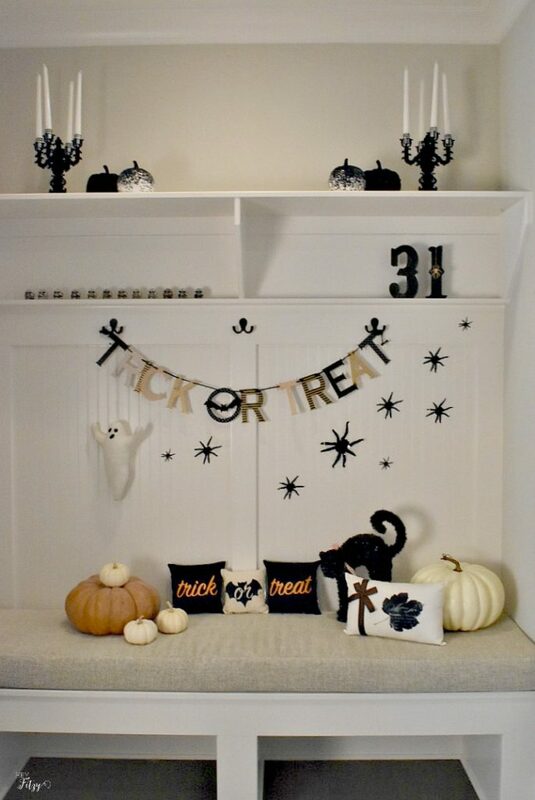 It was so fun decorating this mud room space for Halloween. 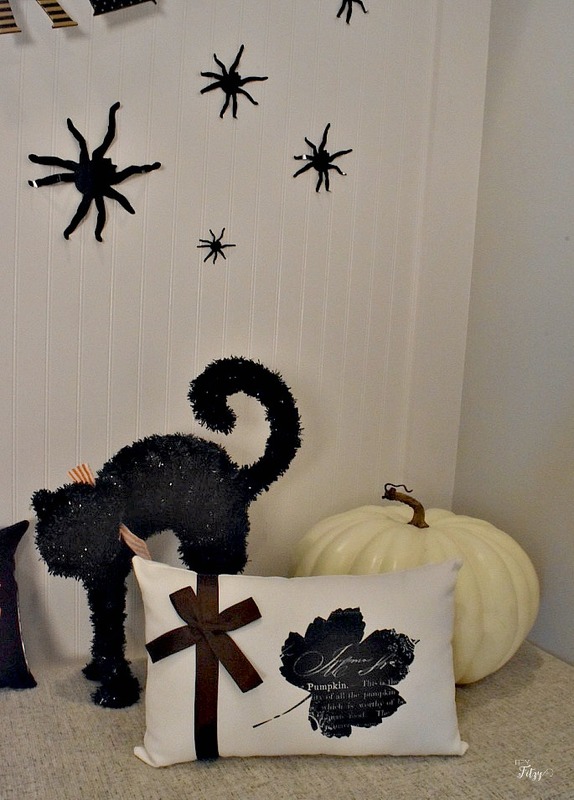 Love this blog hop and seeing everyone's halloween decor! I love it! I love Halloween decor, and yours looks great! 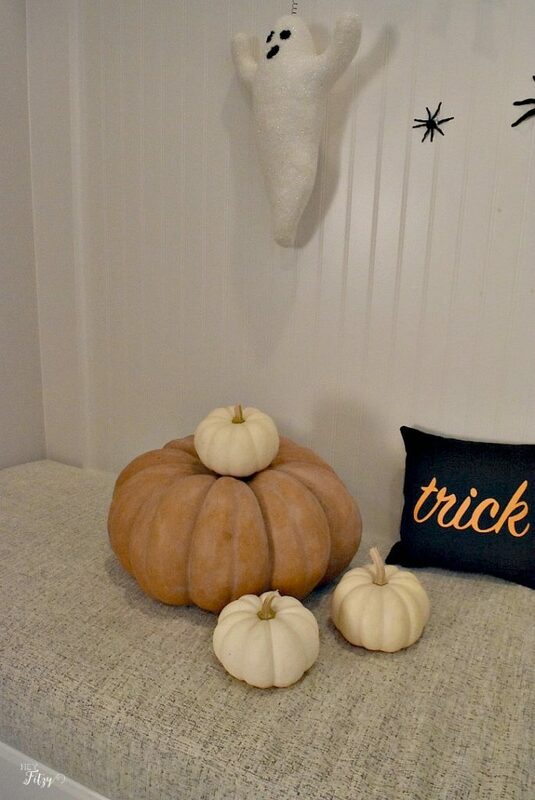 The trick or treat pillows in the mudroom are adorable, and your table is fantastic. Thanks for the inspiration! Thank you Amy! 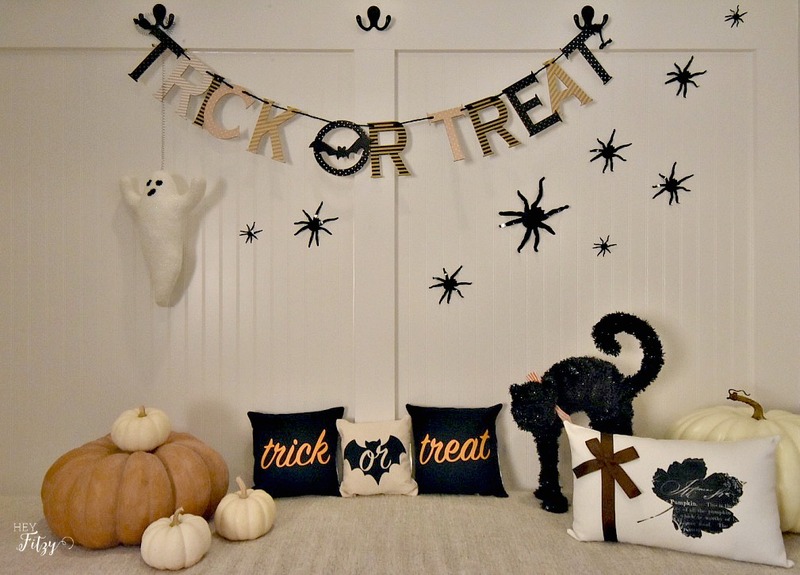 This was such fun blog hop and I loved seeing everyone's halloween space! How wonderful everything looks! I love the mudroom and the Hallow decor is just too cute! That glittery pumpkin caught my eye and I love it! Hi Carolann! I always have to have a little glitter and was so happy to find those glittery pumpkins! I love it its so cute!!! Thank you Kellie! Such a fun halloween blog hop! Tammy I love your entryway. It is full of so many whimsical ideas. Those cute spiders crawling up the wall and the ghost just watching over them. Thank you Mary! My youngest is fascinated by those little spiders and loves to move them around the wall. What an awesome mudroom you have Tammy! It looks awesome decorated for Halloween!!! Thank you Tara! A mudroom was a must have when looking for a new home earlier this year! As a family of 6 it truly is one of the hardest working spaces in our home!